I could not let the new school year start without developing a new cracker recipe. I have been getting a few requests for dairy free versions of my crackers, but the previous flavours were not really suitable for substitutions so I wanted to develop something specifically dairy free. And these Seedy Wholemeal Crackers fit the brief. Not only are they dairy free but they are also egg free so they perfect for those with allergies or who are vegan. 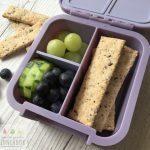 Like most of my lunchbox recipes these are nut free too so they are a great option for the lunchbox. As the name suggests, these Seedy Wholemeal Crackers are full of seeds. Four different kinds of seeds to be precise. Did you know that seeds are really good for you? The Australian Heart Foundation recommends including seeds in a healthy diet. They are a great source of protein, fibre, vitamins and minerals. 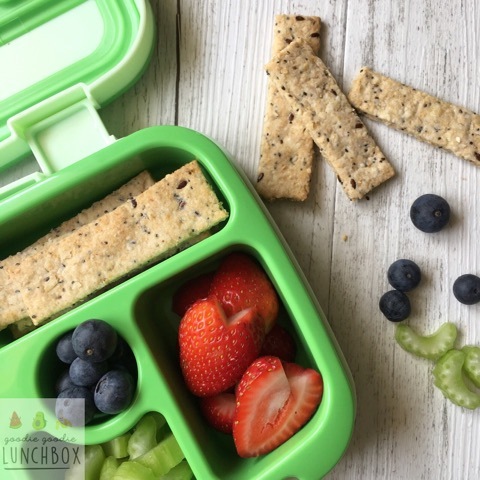 And this makes these Seedy Wholemeal Crackers a fantastic option for the lunchbox. But my Seedy Wholemeal Crackers are not just good for you – they taste really good too. The crackers are very crispy and have a really delicious flavour. They are slightly creamy and the flavour of the sesame really shines through. My Seedy Wholemeal Crackers are a little trickier to make than my other cracker recipes so if you are just starting out on your baking journey I would recommend trying some of my other recipes first, like these Sour Cream & Chives Crackers (saaah good) or these Healthier BBQ Shapes (BBQ Crackers) (I get lots of positive feedback on these ones!) to get a feel for making crackers and what consistency you are looking for. I find that the dough tends to get overworked quickly as there is little fat used in this recipe. So you need to take care when rolling and cutting as you really only get one chance before the dough toughens and becomes much more difficult to work. The texture these Seedy Wholemeal Crackers is not suitable for cookie cutters. Instead I used a pizza cutter to cut my crackers (time saver!) or you could use a sharp knife if you don’t own a pizza cutter. I liked making these as longer strips (10cm long by 2cm wide) for some batches. I thought this shape would be great for dippers and I love how they look in the lunchbox. 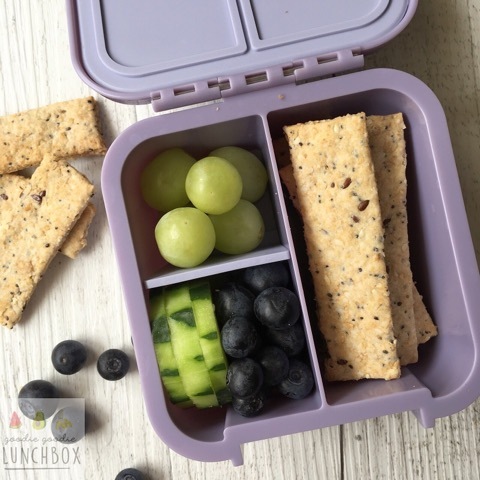 So there you go – a perfectly delicious dairy and egg free cracker for the lunchbox. I hope you enjoy making these. 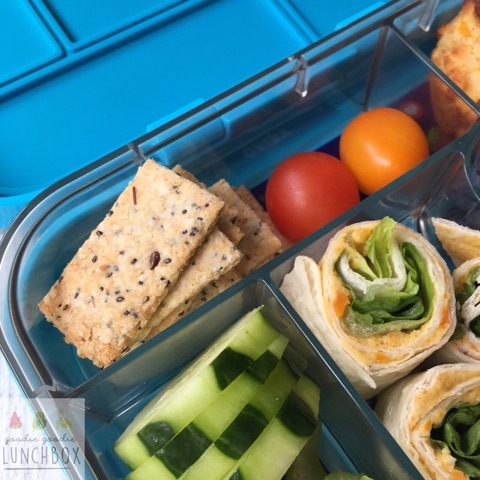 Also, if you have just joined me here and you are new to packing lunches, or even if you are a long time lunchbox packer but you need some inspiration be sure to check out my School Lunch Guide for a great reference guide! Just to let you know, I ‘veganised’ the BBQ shapes,by using a chia egg and oil and they come out great. 100g butter equates to 80ml oil, I used veg oil.